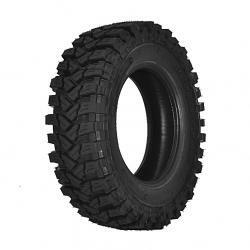 The newest 4x4 tire profile is recommended for areas of muddy and snowy. On average, loud on the asphalt. Deep tread, specially reinforced corners and blocks protruding on the side make that these are probably the best retreaded tires for heavy off-road expeditions. The newest profile in the area muddy. For such an aggressive tire well enough exercise on the asphalt. The best tire for rough terrain and mud. Especially recommended for cars przeprawowych, for sport and those which are important for off-road. Best when using 85% 15% area of the asphalt.